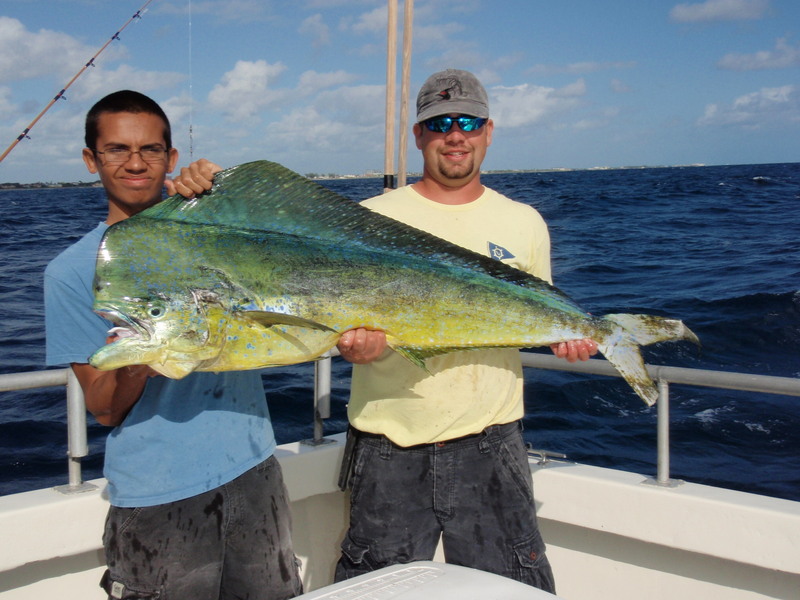 This 34 pound bull Mahi Mahi gave Lady K teen angler, Austin, a nice fight after the fish hit in 50 feet of water. Austin said he felt a fish tap his bait when it hit the bottom and as he reeled, up came this big bull. After the fish was boated, other anglers noticed something “kicking around” in the stomach of the fish and it was assumed that the fish ate a blue runner that may have initially hit Austin’s bait. Back at the cleaning table everyone was surprised to see a whole 16″ Mutton Snapper come out of the fishes stomach. Excellent catch Austin, sure to be a memory of a lifetime! VIP angler may not have used a Mutton Snapper for bait but sure had his hands full fighting this beautiful 20 plus pound Bull Mahi Mahi on 20 pound spinning tackle. 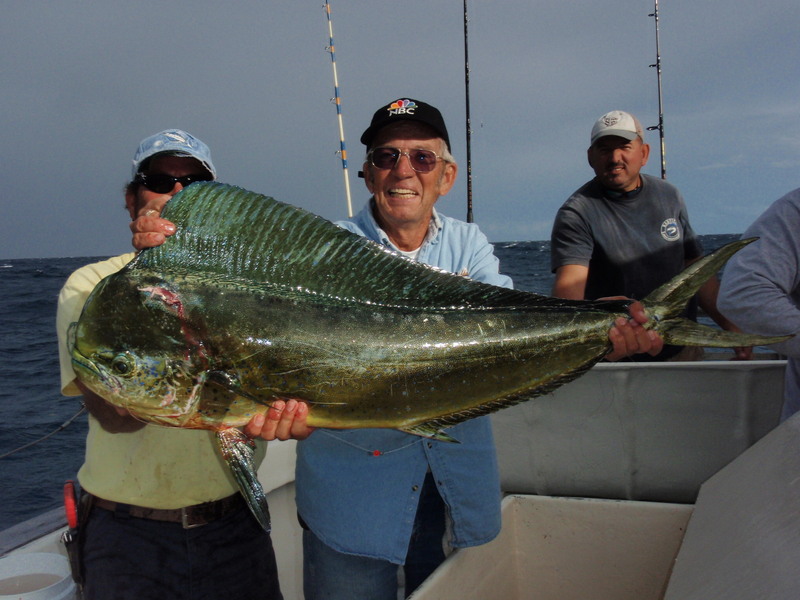 Impeding cold fronts and strong east winds have been pushing the Mahi Mahi in and anglers fishing aboard the Lady K have been catching the fish while either flat lining or using one ounce sliding sinker rigs and sardines for bait. Fish from 5 to 25 pounds have been taken along with large Gray Triggerfish to 7 pounds, Cobia to 25 pounds, Grouper to 20 pounds and Yellow-tail Snapper. Sharks have also been taking their share of anglers fish so be sure you reel fast, real fast. Don’t forget that BarJack Fishing has gift cards available for the holiday season at out ticket office. The ticket office is open seven days a week at the following times: 7 am to 8 am; 12 noon to 1 pm; and at 5 pm to 6:30 pm. So quit racking your brain trying to figure out what to get that special angler in your family, a gift card to fish the Lady K is a perfect present for under the tree.